Chatting to chums at another gig (the towering Shearwater as you ask), I mentioned that I was off to see Turin Brakes (for the tumpy-tum time) the next eve. ‘Really? Why do you keeping going to see them?’… mmm I pondered…’Well’ I replied,’I have this fav charcoal grey cashmere v-neck, and although I’ve had it for an age, I love wearing it, it makes me feel good and class is always hip (daddy-oh). TB are my musical cashmere v-neck.’ Ok I’ll give you my extended metaphor strains at the seams a little, but you get my drift. TB were the first band I took my lad to see (October 30 2005, Bristol Academy) when he hit the 14 year old age requirement, and we’ve seen them every year they have taken themselves around the circuit. Every time they deliver the best of shows, always the old favourites and the new songs, and the more time goes on the more they seem to enjoy the whole business – the playing always superb, relaxed bits of banter ) I am especially looking forward to Eddie’s range of loungewear), and a crowd that loves them to bits, helping make every show a bit like a house party with your over-talented mates. 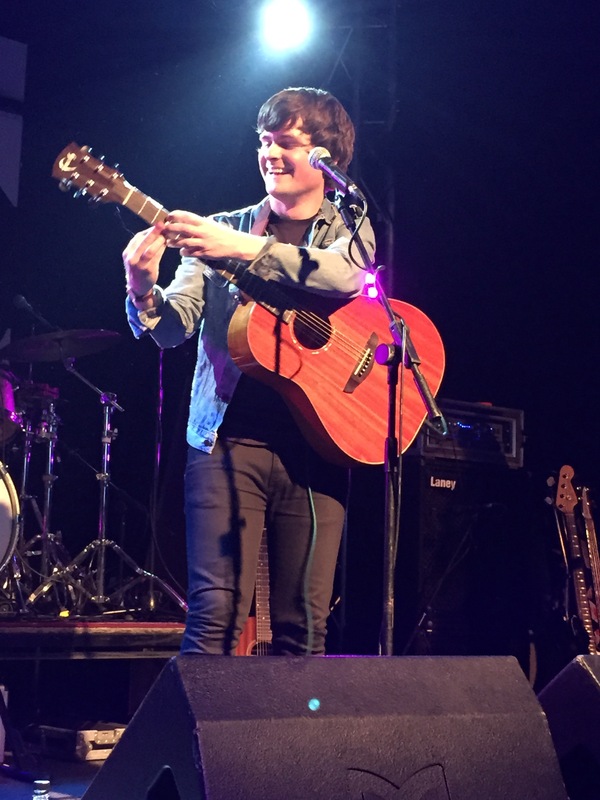 Gloucester Guildh all was sold out and all present and correct for Tom Speight who kicked everything off with an enthusiasm and energy which is either how he is or reflective of the second night of the tour. A tidy little set and a crowd pleasing foray out into the crowd for an unplugged number. Certainly a chap well worth looking out for if he comes within striking distance. The Brakes set was its usual mix of ever-evolving old friends blended seamlessly with songs from the rather fine new album Lost Property. The Brakes are one of those bands who just get better the longer they play together and they seem to have hit that sweet spot; a bunch of mates playing together and enjoying it and (hopefully) making it pay without recourse to the hideous compromises that many a new band has to make in order to keep going. This spirit is for sure part of the thing that makes them so special for so many people. I bet that everyone in the room would be well up for a pint or two and a good old chatty hangout, they just feel like friends you’ve had for ever. Of course the musicianship is easy and peerless: Gale’s guitar a thing of joy, Eddie’s bass as fluid and playful as his caveman-on-speed looks, Rob’s disarmingly relaxed drumming and Olly’s voice better than ever and a truly unmistakable and unique asset. It’s impossible to come away from a Brakes show not feeling buoyed up and positive, always uplifting and a couple of hours that take you out of yourself and let you forget your worries of the day – you can’t ask for much more now can you? 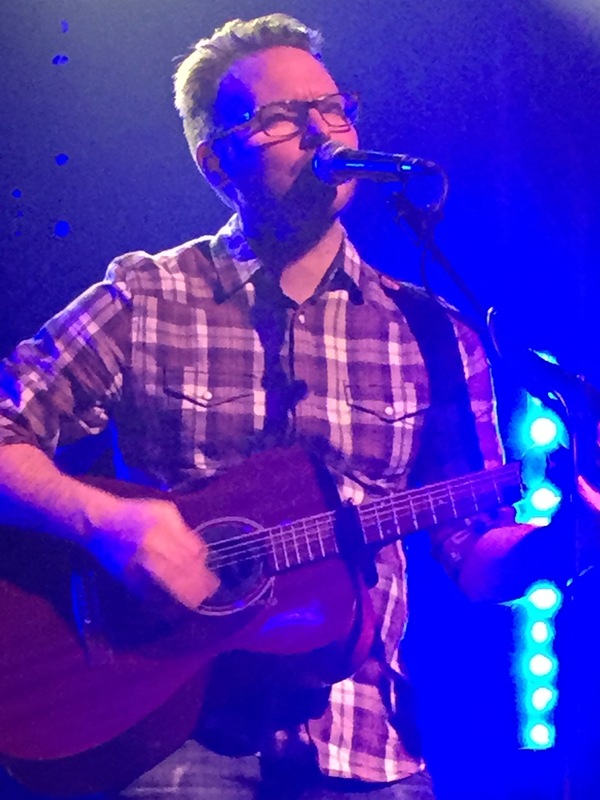 This entry was posted in Uncategorized and tagged Gig, Gloucester Guildhall, Tom Speight, Turin Brakes. Bookmark the permalink.